Hurricane Felix during rapid intensification. 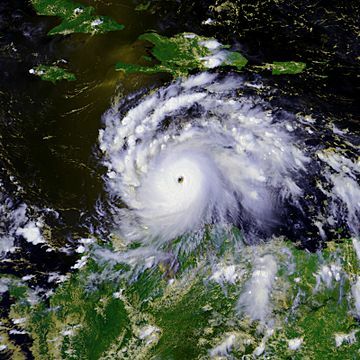 Hurricane Felix was a strong Category 5 hurricane with fastest wind speeds of 175 mph. It was part of the 2007 Atlantic hurricane season. Hurricane Felix Facts for Kids. Kiddle Encyclopedia.